--All of you are likely aware of the ruptured pipe that flooded the Biochemistry Building last week. Clean-up is moving ahead, but some of the work will take an extended time – perhaps months for the Office of the Indiana State Chemist. Without fail, the people of our College – and Purdue – step up in times of crisis. Read more about the flood and response in the item below. --The Diversity Action Team in Agriculture (DATA) has again organized activities to commemorate Dr. Martin Luther King Jr. Diversity Awareness Week, January 21-24. Following the observance of Dr. Martin Luther King, Jr.'s birthday on Monday, January 20, faculty and staff are invited to participate in educational and thought-provoking activities each day of the week. You’ll find details in this issue of InFocus. --The Purdue Ag Alumni Fish Fry is coming up February 1. If you have not attended this premier event, I would encourage you to make the trip to the Indiana State Fairgrounds in Indianapolis. We expect between 1500 and 2000 for this year’s event and have restructured the Fish Fry to allow us more time to engage with our alumni and to help them get a better sense of the great work happening here. Don Thompson, CEO of McDonalds, Purdue Trustee, and Purdue alumnus (Engineering) will be our featured speaker. He is a charismatic, engaging person and this year’s Fish Fry will be a unique opportunity to hear from the leader of one of the world’s largest food service organizations. --The holiday gave me a bit more time to tune in to the general media and I was reminded again just how important our work on science literacy (including the social sciences) is. I don’t need to tell you that public understanding of food and agricultural technologies, the science behind natural resource problems, the economics of public policy issues, and much more of the work you do, is terribly weak in many cases. I am proud of programs such as zipTrips and our broader PK-12 work, the work of the Indiana Council on Economic Education, Science Café, the social media work of Agricultural Communication, Purdue Extension programming in this broad area, and on and on. But, there remains so much need and so many opportunities for us to creatively engage and educate the public and help them better understand and consider the science behind important social issues and public policy decisions. --Governor Pence’s 2% reversion of state funding will mean a cut of about $600,000 across our College. We will work to minimize the impact of this budget cut on our day-to-day operations; however, we won’t be able to fund as many AgSEED projects as we had hoped, and we won’t have access to as many flexible funds to take advantage of opportunities as they arise. At this point, the budget cut is non-recurring and hopefully the better economic news on state revenues we saw in December will continue. It is going to be another busy, exciting semester. The Soybean Center is coming together with an important stakeholder listening session this week. We have 15 faculty searches moving forward and lots of interviewing to do. Four candidates for Head of the Horticulture and Landscape Architecture department will be coming to campus in February. The Purdue Moves Plant Sciences Research and Education Pipeline Initiative is moving ahead with the new Project Manager, Julie Hickman, coming full-time next week. Our second Small Farms Conference is coming in March. The Spring Career Fair is coming up on February 12. And, the university is looking for a Provost and a Treasurer. Of course, there is much more, but it all adds up to an important, exciting, Spring Semester for the College. I am looking forward to working with you as we continue to move the College forward and wish each of you a terrific 2014. 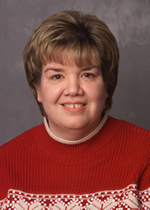 Dean Jay Akridge and Dean Willie Reed, Veterinary Medicine, are pleased to announce that Dr. Candace Croney has been named Director of the Purdue University Center for Animal Welfare Science, effective February 1, 2014. In this position, Dr. Croney will lead a Center that includes scientists and educators from the College of Agriculture, the College of Veterinary Medicine, and the Livestock Behavior Research Unit-Agricultural Research Service. Her responsibilities in this role include soliciting both traditional and non-traditional sources of extramural funding for the Center’s research and outreach activities; serving as spokesperson and resource person on public policy welfare issues; and disseminating knowledge, guidance and expertise of animal welfare science through a variety of media. As Director, Dr. Croney will be charged with developing and maintaining national and international relationships with leaders in animal agriculture, animal welfare faculty at other universities and institutions, NGOs and the general public. Dr. Croney’s appointment will be 75% in the College of Veterinary Medicine and 25% in the College of Agriculture. Her laboratory will be relocated to the College of Veterinary Medicine. The Center for Animal Welfare Science hosts the largest collaborative group of scientists in the United States working in these fields, bringing together diverse, cross-disciplinary approaches to animal well-being issues in the areas of animal and poultry science, veterinary medicine, psychology, philosophy, genetics, public health, and zoology. The mission of the Center is to promote the welfare of animals through innovation in research, education and outreach. Purdue Center for Regional Development Director Lionel "Bo" Beaulieu is taking on additional duties as assistant director of Purdue Extension Economic and Community Development. 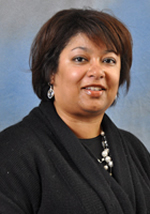 The appointment, effective Feb. 1, is intended to strengthen the working ties between Purdue Center for Regional Development, Extension ECD and Office of Engagement activities across campus. 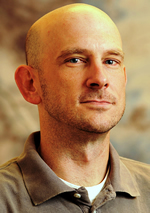 Purdue Extension Director Jason Henderson announced the appointment January 13. "Bo's national expertise in economic and community development and his ability to build strong relationships across a variety of institutions will help integrate Extension with economic and community development programming across the university," Henderson said. "Greater coordination of our campus-based Extension and research faculty and county Extension educators will enhance the development and delivery of innovative research-based economic and community development programs in Indiana and beyond." Beaulieu will continue as professor in the department of agricultural economics. The Office of Indiana State Chemist is functioning on a limited basis following extensive water damage that occurred when a 4-inch water line ruptured on the evening of January 7 and flooded all four floors of the Biochemistry building. Department Head Clint Chapple and State Chemist Bob Waltz and their teams did a remarkable job of beginning clean-up after the water was shut off. We are very grateful for the responses from the fire and police units, Physical Facilities, Carol Shelby, Kevin Thedans and others in the Environmental Health & Public Safety area, Mark Kebert and Tiffany Utermark in Risk Management, the Building Services staff, and far too many others to name here. We can’t say thanks enough for the way all of these people have stepped up to make the building usable again. The office is closed to visitors, but members of the public and clients can continue to reach staff at the OISC's main telephone number, 765-494-1492. The Diversity Action Team in Agriculture (DATA) has organized four days of activities to commemorate Dr. Martin Luther King Jr. Diversity Awareness Week, January 21-24, sponsored by the Colleges of Agriculture, Health and Human Sciences, and Veterinary Medicine. Following the observance of Dr. Martin Luther King, Jr.'s birthday on Monday, January 20, faculty and staff are invited to participate in activities each day to educate and raise diversity awareness. We invite you to exhibit on Purdue Agriculture Avenue, the newly expanded exhibit area, prior to and after the Fish Fry. Doors will open at 10:00 a.m. for guests to network and visit the exhibits. The program portion of the Fish Fry will take place from 11:30 a.m. to approximately 2:00 p.m., after which the networking will resume on Purdue Agriculture Avenue until 3:30 p.m. We encourage departments and organizations to take advantage of this opportunity to raise awareness of your programs and research, engage with alumni, and connect with industry partners in attendance. Here are forms you'll need: Purdue Agriculture Avenue Exhibit Space Request Form and Additional Exhibitor Ticket Order Form. The Purdue Ag Alumni Fish Fry is known for having the best service in town! Many Purdue Agriculture people come back each year to serve because they enjoy the camaraderie, networking and fun that is had by everyone who participates. Servers receive a free meal, get to enjoy the Fish Fry program, and can take advantage of free transportation to and from the fairgrounds. Here is more information and the registration form: Volunteer Server Information and Volunteer Server Information. Additional information is required for anyone who is not a Purdue employee, so please let us know if you need these additional forms for others you know would like to help. If you would like to use the Fish Fry as a way to host industry friends or local alumni, or simply as a fun Saturday activity, use this form to order tickets: College of Agriculture ticket order form. You may order individual tickets ($25 each), or tables of 10 ($250 total), and pre-paid parking permits. If you have any questions, please contact Danica Kirkpatrick at 765-494-9113 or dkirkpat@purdue.edu. Mona Jackson, a staff member in the Youth Development and Agricultural Education department, passed away January 8 in her home. Mona had been a member of the YDAE clerical staff for many years, providing clerical support for Allen Talbert, Jerry Peters, and Dan Gottschalk, as well as backup clerical support for Department Head Roger Tormoehlen. Mona graduated from Rossville High School in 1972. She was a member of the Rossville Church of the Brethren. She enjoyed putting together puzzles, playing games, and reading. She is survived by two brothers, Larry (Judi) Jackson and Kevin (Kathy) Jackson; one sister, Julie (Keith) Singer; nieces and nephews, Aimee Williamson, Megan Hurst, Ben Morrissey, Gordon Jackson, Monica Alexander, Miranda Sipe, Kristina Ragan, and Mirissa Klecz; and 18 great nieces and nephews. Memorials in Mona's name may be made to the American Diabetes Association. 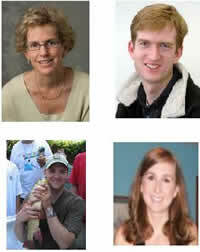 Online condolences may be directed to Genda Funeral Home at http://www.gendafuneralhome.com/obits/obituary.php?id=441408. Three Purdue Agriculture researchers spoke December 19 in Carmel at a roundtable discussion of the Obama administration's task force on climate change. They provided information to President Barack Obama's Task Force on Climate Preparedness and Resilience on how federal government can support the development of state and local climate change resiliency. Carmel Mayor Jim Brainard is a member of the task force. The Purdue representatives are Sylvie Brouder, Agronomy, Jeff Dukes, Forestry and Natural Resources and Biological Science, and Reuben Goforth, Forestry and Natural Resources. Also present was Olivia Kellner, doctoral student in Land-Atmosphere Interactions representing the Indiana State Climate Office. Biker builds homes, friendships across the U.S.A.
Elaina Grott, BS' 13, and her bike are so close she gave it a name. And why not? Grott and "Black Beauty" completed a 4,265-mile journey across the United States this summer. Grott graduated last week with a degree in entomology and is headed to South Carolina in January to start her career with Bartlett Tree Service. She has generously offered to share blog entries and photographs of her epic ride that took her from South Carolina to California in 81 grueling and blissful days. We think you will enjoy Grott's Bike and Build exploits almost as much as she did. The College of Agriculture's Office of Multicultural Programs has developed a continuum of recruitment and support services that stretches from middle school to graduate school and showcases the benefits of agricultural study to students who might not even be aware they exist. In the photo: (From left) Moriah Hurt, president of Purdue's chapter of Minorities in Agriculture, Natural Resources and Related Sciences (MANRRS); Pamala Morris, OMP director; and Myron McClure, OMP program manager. Bruce R. Hamaker, the Roy L. Whistler Chair in Carbohydrate Science, has been appointed a distinguished professor of food science at Purdue University. 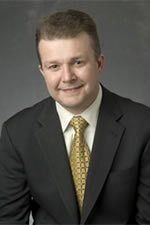 Hamaker has been the Whistler Chair since 2008 and director of Purdue's Whistler Center for Carbohydrate Research since 2003. The university Board of Trustees approved his appointment as a distinguished professor on December 14. As director of the Whistler Center and a professor of food science, Hamaker performs research on carbohydrates and health, cereal starch and protein structure-function relationships, and dietary fiber and the microbiome. His research includes designing carbohydrates for potential health benefits and improving cereal use in developing countries. Jozef Kokini has been chosen as the successor to World Food Prize laureate Philip E. Nelson as the Scholle Endowed Chair Professor in Food Processing in the Department of Food Science. The university's board of trustees ratified the appointment on December 14. Kokini's research areas of interest include food materials science, linear and non-linear rheology; food nanotechnology and fabrication of nanobiosensors; food structure and texture, especially during extrusion; and computational fluid dynamics. 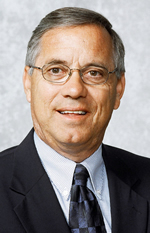 Donald J. Biehle, who has managed the Southeast-Purdue Agricultural Center since it was created in 1977, is the 2013 recipient of the Frederick L. Hovde Award of Excellence in Education Service to the Rural People of Indiana. Biehle, superintendent of SEPAC in Butlerville, Ind., received the award on December 13 at the Indiana Farm Bureau convention in Fort Wayne. The award honors Purdue University staff with a record of outstanding achievement and service to rural communities. Amphibians in species-poor wetlands have a higher risk of becoming infected with a virulent parasite than those in wetlands with a rich diversity of species, according to a study led by Jason Hoverman, Forestry and Natural Resources, which sheds light on how biodiversity moderates the transmission of infectious diseases. "The loss of species diversity has major implications for how harmful and deadly diseases are transmitted in nature," said Hoverman, an assistant professor of vertebrate ecology. "While the risk of getting infected with this trematode is largely a factor of how many trematodes are present in the community, we found that disease transmission is also impacted by the number of host species and other parasite species in the system." Food Science professor Kevin Keener has been awarded a Distinguished Fulbright Fellowship to teach food science and food engineering at Moscow State AgroEngineering University in Russia during the 2014 spring semester. Keener will serve as the Distinguished Chair in Agricultural Technology and Education from February through May, teaching classes to 120 undergraduate students and 30 graduate students. He also will help train colleagues and industry representatives in Russia on food safety, food technology and food security. Keener said the fellowship will benefit his Extension food science activities and research program. "Additionally, it shines a spotlight on Purdue and further enhances the Food Science department's and Purdue University's reputation as a world-leading institution," he said. 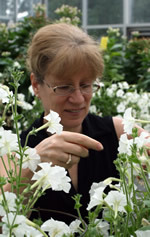 Biochemistry researchers led by Natalia Dudareva, Distinguished Professor of Biochemistry, have discovered a microbial-like pathway in plants that produces phenylalanine, an amino acid that is a vital component of proteins in all living organisms. Plants mainly synthesize phenylalanine through a chain of chemical reactions that converts the organic acid arogenate to phenylalanine. But the researchers demonstrated that plants also use an alternative pathway found in most microorganisms to make phenylalanine from phenylpyruvate. Phenylalanine is an aromatic amino acid that serves as a building block for many compounds essential to plant structure, reproduction, defense and communication. Manipulating the alternative pathway to increase production of phenylalanine could help improve plants' response to pests, Dudareva said. Purdue Agriculture researchers have confirmed the long-held hypothesis that sorghum deters insects from feeding on its leaves by releasing hydrogen cyanide. Mitch Tuinstra, Agronomy, and Brian Dilkes, Horticulture and Landscape Architecture, found that insects preferred the leaves of a mutant sorghum plant with an abnormally slow release of cyanide to those of a wild-type sorghum plant with a normal cyanide-release rate. Fall army worms fed on the leaves of the mutant sorghum even though the leaves contained similar levels of dhurrin - the chemical compound responsible for synthesizing hydrogen cyanide - as those in normal sorghum plants. "This study separates for the first time the accumulation of dhurrin from the release of hydrogen cyanide," said Dilkes. "Both the mutant and normal sorghum plants contain dhurrin, but it's the rate of cyanide release that causes the insects to avoid one in favor of the other. It's a beautiful interaction between animal behavior and plant chemistry." Agricultural economist Roman Keeney is producing a series of publications to help farmers, policymakers and taxpayers better understand changing U.S. agricultural policy and develop informed opinions about them. The Purdue Extension free publications under the series title of "APEX," an acronym for Ag Policy Explained, will delve into public policy issues and how they affect the agricultural economy. 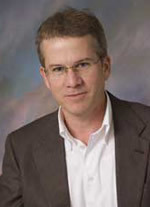 "Readers want to know the system and mechanisms, but they are turning to Extension to find an explanation for how it all works together so that they cannot only be better managers of resources but also become better informed students of agricultural policy," said Keeney, who is leading the project, including as an author. 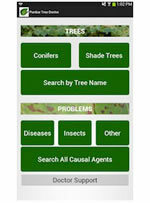 The Purdue Tree Doctor app, Purdue Extension's most popular app, is now available in an Android version for mobile devices. Previously available only for the iPhone, the app helps users identify more than 175 tree problems on more than 60 types of trees common to the Midwest and northeast United States, and find recommendations to manage them properly. The app is helpful to homeowners, landscape professionals, arborists and garden center personnel. "It will be like having our entire library of photos and recommendations in your pocket when trying to make a diagnosis," said Janna Beckerman, Botany and Plant Pathology who developed the app with Cliff Sadof, Entomology. Analysts are predicting a 32 percent increase in electricity rates for Indiana by 2023 and an unprecedented stagnation in electricity demand over the next two decades. "This is something we've never seen before: essentially no growth in electricity for the rest of the decade," said Douglas Gotham, director of the State Utility Forecasting Group (SUFG), a state-funded panel of researchers based at Purdue. New projections are contained in a report forecasting the state's energy needs through 2031 prepared by the SUFG for the Indiana Utility Regulatory Commission (IURC). Gotham reported the findings to the IURC on December 20. The second annual Indiana Small Farm Conference will give big help to small farms, which account for nearly nine out of every 10 farms in the state. The conference will offer expert advice to owners of small farms to help them make their operations more successful. Sessions will focus on issues related to management, production, processing and marketing. The conference, Feb. 21-22 at the Hendricks County 4-H Fairgrounds in Danville, follows on the successful Indiana Small Farm Conference last March, said Steve Engleking, LaGrange County Extension educator and a conference coordinator. "It's intended for anyone who is currently involved with, or interested in, small farms in Indiana," Engleking said. "We hope to continue building a statewide community of people who have a passion about small farms." A two-day conference focused on women's role in making the family farm profitable will give participants an opportunity to network with others who are in the same position. The 2014 Midwest Women in Agriculture conference will be Feb. 19-20 in Jeffersonville, Ind. Nikky Witkowski, conference chair and Purdue Extension educator in Lake County, said the goal of the conference is to educate women on farming practices while also offering them the opportunity to build relationships with other farm women. Session topics include farm management, marketing for small farms and niches, agriculture technology and legal issues. Steve Abel has been appointed Purdue's associate vice president for engagement, University officials announced on Jan. 10. Abel, who has served as associate vice provost for faculty affairs since February 2012, also is the associate dean for clinical programs and Bucke Professor of Pharmacy Practice in the College of Pharmacy. He succeeds Suresh Garimella, who in May became Purdue's chief global affairs officer. Abel assumes his new role Jan. 13 and reports to Julie Griffith, vice president for public affairs. Discovery Park announces a new program directed at faculty on the West Lafayette campus (tenure-track/tenured and clinical) at all academic ranks who feel their research will benefit from access to the interdisciplinary environment and resources at Discovery Park. Fellows will be chosen on a competitive basis following nomination by both their department/unit head/chair and the appropriate Discovery Park center director with approval of the college dean. Appointment to the Fellows program is for one year. Departments/units will receive $25,000/year for each fellow as compensation for the partial release from academic responsibilities of faculty serving as Discovery Park Research Fellows. Up to $10,000 in “credit” may be available to each Fellow for use in Discovery Park core research facilities or to employ services provided by Discovery Park staff during their appointment. The appointment period will begin July 1, 2014. A complete application packet is due Monday, February 10, 2014. Please contact Wendy Field (wfield@purdue.edu) for additional details. Working parents face a unique set of work-life balance challenges: working on an unpredictably limited amount sleep, attempting to maintain high productivity while attending to the various facets of parenting/family responsibilities, and balancing complicated time and financial budgets. While as a Purdue University community we cannot help parents address all their work-life challenges, we can support each other by sharing information, resources, and opportunities to network with others in similar situations. The Purdue Parents Network (PPN) is a resource created by parents (and their concerned friends) for parents. The overall goal is to provide an avenue for parents within Purdue University to network, share information, and find support within the Purdue community. Recognizing that many Purdue employees do not have family in the area, and that many new parents do not have access to insider information sources, our two most immediate objectives are: 1) to compile and distribute information on local resources such as daycare, recommended babysitters, Purdue HR, lactation rooms, pediatricians, school systems, shopping, and kid friendly events; 2) to connect new and established parents alike by organizing play dates, stroller runs, parent-to-parent sales and exchanges. We invite all Purdue employees with families (and those thinking of starting a family) to join the PURDUE PARENT NETWORK listserve by sending an email with the word "SUBSCRIBE" (without the quotes) as the subject heading to PPN-request@lists.purdue.edu, or emailing Maja Makagon (a new parent in the community) at mmakagon@purdue.edu. The list serve will be used to send periodic consolidated announcements about resources and upcoming events. The Office of the Provost is seeking nominations for the new Chris A. Foster Award, which will annually recognize Purdue faculty members' contributions to K-12 science, technology, engineering and math (STEM) education in Indiana. Nominations are due Feb. 21. 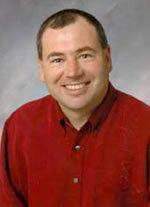 The award is named after Chris Foster, the former first gentleman of Purdue. Each year, it will be awarded to one faculty member on any Purdue campus who has made demonstrable contributions to improving STEM teaching and learning in Indiana's K-12 schools. The Office of Institutional Equity is offering its 2014 spring semester Faculty Search and Screen Procedures series for faculty and support staff who will be involved in searches. Session participants will receive the sixth edition of the Faculty Search and Screen Procedures manual. Additional copies of the manual may be requested from the Office of Institutional Equity at any time or viewed at http://www.purdue.edu/ethics/oie/documents/FacultyManualFinal_1.2012.pdf. Nominations are invited for the 2014 Purdue Sigma Xi Faculty Research Award. Nominations are due February 7, 2014. The Purdue University chapter of Sigma Xi was among the first in the nation. It was established in 1909 as the 27th chapter out of the more than 500 chapters in existence today. Our chapter has fostered and recognized outstanding research on the Purdue campus since 1909. We currently have over 400 active members and sponsor activities at all levels from high schools through post-graduate and faculty. On an ongoing basis, but particularly as we enter the winter months, existing and predicted weather conditions are carefully evaluated by Environmental Health and Public Safety and Physical Facilities to ensure the health and safety of the members of our campus community. In accordance with Purdue University Adverse Weather Conditions policy IV.A.6, dated November 18, 2011, special procedures pertaining to classes, operations, parking, pay and/or attendance will become effective for the West Lafayette Campus should action pertaining to adverse winter weather conditions become necessary.